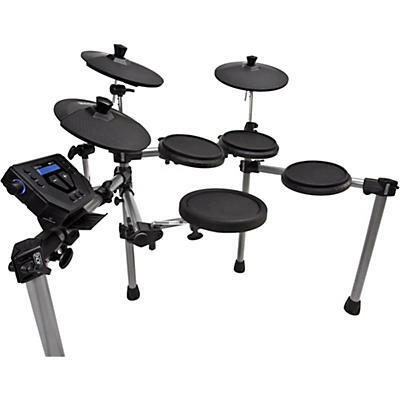 This is the new Simmons SD500 Electronic Drum Kit. This new offering by Simmons (Guitar Center) looks to be a new budget/entry level kit. Much of the styling of the SD500 seems to be borrowed from their popular SD1000 line. The Street price of the SD500 is $499.00. What really stands out on this kit to me is the rack and configuration of the set itself. Using the four post rack set-up is a great feature that is not normally available at this price range.